Galaximed industries is a true frontrunner, a name that's time and again redefined the concept of bathing luxury in india. It's the company that's known for offering indian customers with bath tubs in various attractive sizes, shapes, designs. 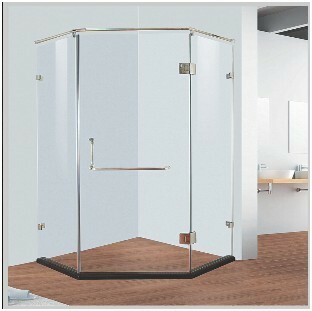 Moreover, it pioneered the trend of manufacturing bath products with high quality. Today, the company's basket of products includes new-age bathing luxuries like bath tubs, shower cabins, shower trays & panels, steam / sauna systems, whirlpools & and multifunctions. flawless performance, enhanced lasting value, designs perfected to every little detail and mesmerizing shades & colours are the highlights of this range. The company was started in the year 1997 by Dr. Naeender gupta .The manufacturing unit is located in approved industrial area of MIE bahadurgarh, haryana at N.H.-10.this company is running under sole proprietorship. Galaximed industries is a true frontrunner, a name that's time and again redefined the concept of bathing luxury in india. It's the company that's known for offering indian customers with bath tubs in various attractive, sizes, shapes, designs. bringing the semblance of luxury, glamour and lifestyle, Galaxi bath has revolutionized the way you take your bath. Offering a very extensive, elegant and aesthetically appealing range of bath tubs, sauna cabins, shower enclosures, steam shower room and vanities. Galaxi has revolutionized the manner people take bath and made it a lifestyle statement by introducing all the healing and holistic benefits of bathing through its leisurely bathing product range and accessories. A new age bathing experience, adding colours of india cosmic and circles and magnificence, and intense feelings of Indian weathers of spring, autumn, winter and monsoon, the Galaxi brings all the best Indian living paradigms and perspectives in bathing sensuous provided by its range to batting solutions and accessories incepted in 1999. Galaxi baths last two decades has added and emerged as a manufacturer and supplier of aesthetically appealing, elegant in design comprehensive bathing luxuries. Equipped with some of the most latest bathing features and conceived with the finest of materials and processed through the most advanced steps. Galaxi bath luxuries presents a new-fresh wave of technology and convenience the galaxi range of bathing solutions has the most advanced additions to bathing world as set in array in galaxi product is like deluxe large nozzle, jacuzzi, LCD, ozone sterilizer and feet massager.